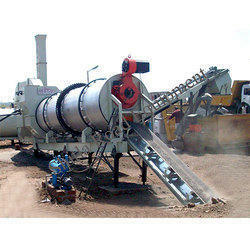 Stationary Asphalt Drum Mix Plant Model Dm-60 Having Output Capacity 90-120 Tph. Advanced Technocracy Inc. is Manufacturer, Exporter & Supplier of Bituminous-asphalt Mixer. We are an authentic manufacturer, supplier and exporter of Dryer and Mixing Units that enable easy and uniform discharge of mix. Dryer and Mixing Units have energy efficient dryer drive that has low torque on gear box. 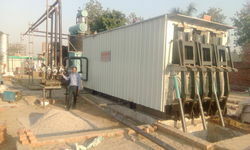 Dryer and Mixing Units are manufactured following stringent quality measures as per international standards. Our Asphalt Drum Mix Plants that comes with the capacity of 15 to 200 TPH and they are globally acclaimed for its best quality performance and services. The Asphalt Drum Mix Plants are skillful crafted in adherence to the standards of MORTH, AASTHO, GOST - R and they are designed to pass the tests of all critical situations.